Cannas are one of many tender bulbs that must be dug and stored indoors in cold climates. Tender “bulbs” are plants which develop and grow from fleshy storage structures (bulbs, corms, rhizomes, tubers, and roots) which will not survive our cold winters outside. This includes caladium, calla lily, canna, dahlia, elephant ears, gladiolus, tuberous begonias and others. Even though technically they are not all bulbs, the term bulb is used in this article for convenience. Since they are not winter-hardy in our climate, they need special treatment to save for the next growing season. Many of these bulbs are expensive, yet easy to keep, so it is worth the trouble to dig and store the underground portions of these plants. While there are no absolute rules for overwintering tender bulbs, there are some general guidelines and safeguards to make your efforts more successful. The most important things are to keep them dry and cool, and do not let them get too cold before or during storage. Most tender bulbs should be dug after the foliage dries up or after the first frost. A light to moderate frost will not penetrate to the depth of the bulb but will kill the tender top growth. If the foliage is killed by frost, the bulb needs to be dug within a few days to make sure rot-causing organisms do not enter the bulb through the damaged stem. Peruvian daffodil (Hymenocallis), however, should be dug before frost damages the plant. Dig carefully to prevent damaging the underground structures. A digging fork is less likely than a shovel to cause injury. Loosen the roots gently by digging several inches back from the base of the plant on all sides before lifting the clump. 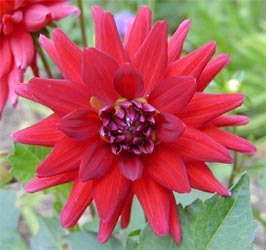 Avoid cutting or bruising the bulbs, and take special care not to rub off the skin of dahlia tubers. Pathogens can readily enter through injured areas to cause rot in storage. Shake off excess soil as you are digging the bulbs and cut off the stems. Wash the remaining soil off with a gentle stream of water from a hose. You can place the bulbs on a wire mesh screen to make this easier. 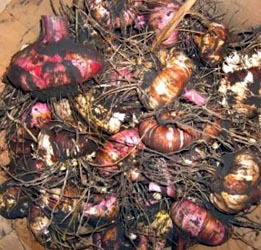 Gladiolus corms are best left unwashed; the remaining soil can be removed after drying. Discard any damaged bulbs. Wait until spring to divide the bulbs if they have multiplied. Any injury will increase the chance of rot while in storage. Most bulbs need a period of curing, or drying, before being put into storage. For most species this is only 1 to 3 days, depending on temperature. 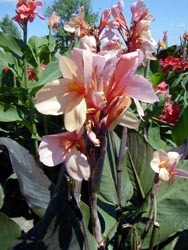 A few plants, such as gladiolus and callas, need a longer curing period, of about three weeks. Keep the bulbs out of direct sunlight in a dry, well-ventilated area where the temperature is 60-70ºF. After curing gladiolus, remove the old shriveled corms at the base of the mother corm. Inspect the bulbs for insects or diseases before placing in storage. You may choose to dust the bulbs with an insecticide-fungicide mixture labeled for the specific species as a preventative. Label the stored plant material carefully. This may be done by writing on the storage bag, writing directly on the bulb with a permanent marker, or by attaching a tag to the root. Include the cultivar name or other important identifying characteristics on the label. 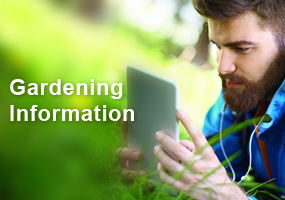 You may also want to record the information in a notebook or in some other way so the identity of your plants is not lost. 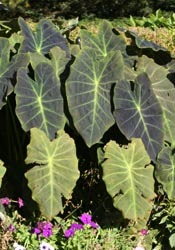 Tubers of elephant ear, Colocasia esculenta. Store the dried bulbs between 2-3″ layers of peat moss, sand, vermiculite, sawdust, wood shavings or coir (shredded coconut husk fiber). If you have many bulbs, they can be layered in a ventilated container, such as a cardboard box. Do not pack the bulbs in air-tight containers; that could cause moisture build up and promote decay. Make sure the individual bulbs are not touching, otherwise if one starts to rot, the decay can spread to the others. The biggest challenge for most homeowners in storing their tender bulbs is finding a spot with the correct temperature. The bulbs should be held in a location with temperatures between 35 and 45ºF and relative humidity of about 50%. An unfinished area of the basement away from heat sources, a place in an unheated garage that does not freeze, or a root cellar can be ideal, but make sure the area is not too warm or too cold. 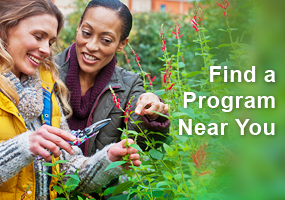 Check the bulbs periodically during the winter. Remove any that show signs of rotting (or cut out any damaged tissue of larger tubers) and check the moisture level. If they have dehydrated – they have shrunk and are wrinkled – moisten the layering medium a little (such as with a spray bottle) and re-pack them. If they are very moist remove from the packing material and air dry for a few days before repacking in dry material. Below are more specifics for some commonly grown tender bulbs. Both can be lifted before frost, potted and treated as a houseplant for the winter. Feed lightly throughout winter and water often. 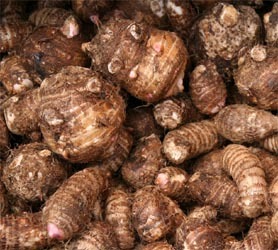 Otherwise the tubers can be cleaned and stored in peat moss. Check monthly and cut away any soft spots that develop. Allow the remaining healthy portion to dry before re-storing in peat. Dig before a hard frost (a light frost can be allowed to kill the tops). Let the tubers dry for 1-2 weeks, with 2-5 inches of the foliage still intact. 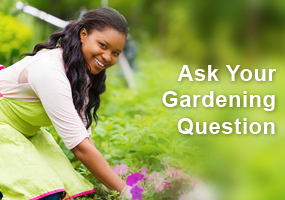 Remove excess soil and foliage and store at 50ºF. 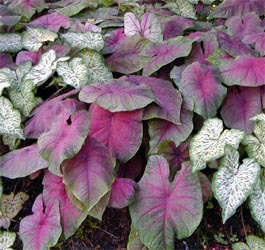 Lift caladium plants before frost. Allow them to dry in a warm spot for about a week. Cut back the foliage after it turns yellow. Store at a warmer temperature than for most other tender bulbs, at 60ºF. Dry the rhizomes of calla lilies for 2-3 weeks in a warm location, shake off the soil and remove the dried stem. Store at 45-55ºF. Allow frost to kill the tops, but they should not be subjected to a hard freeze which turns the stem to mush. Dry the roots for a day or two. Cleaned roots can be wrapped in newspaper (or layered in peat moss or other packing material if your storage conditions are dry) and stored in paper bags or cardboard boxes, at 45-50ºF. Check periodically to be sure the roots do not dry out; increase the moisture level if necessary. Wait until spring to divide, breaking apart, making sure there are at least 3 eyes per division. Dig before a hard freeze, but their tops may be allowed to die back from a light frost. The tuberous roots bruise easily, so handle with care. Although some people prefer to divide the roots immediately after digging since the eyes or buds are easier to see in the fall, it is best to wait until spring to prevent spoilage in storage. Let them dry for several hours before placing in storage. Check monthly for dehydration and mist lightly, if necessary. Lift the plants in the fall either when the plants yellow or after the first frost. Shake off the soil, but do not wash, cut the stems back to 1-2″ and allow the corms to dry. Place them in bright sunlight for a day or two, then move them to a well-ventilated location for about 3 weeks. Remove the old, shriveled portion, keeping only the new plump corms, before packing for storage. I have done this for my canna bulbs and it has worked. I have to put a reminder on my calendar to check them though. I am going to try begonias this year. Good to know that I should divide in the spring. Read for continuing ed. When you did up the bulbs do not divide them until spring or they may rot. Most bulbs need to be cured for 1-3 days before being put into storage. Bulbs should be stored at a temperature of 35-45 degrees. I have never planted bulbs that couldn’t remain in the winter. I am going to try it after reading this article and keep them in my brother’s barn on the farm until Spring! Let’s see if it works!!!!!!!!! !